Gadke Architects is an architectural practice that specialises in residential architecture including new homes, renovations, extensions, kitchens, bathrooms and fit outs. We are committed to producing exceptional architectural outcomes that enhance the experience of the user and relationship to the surrounding environment. 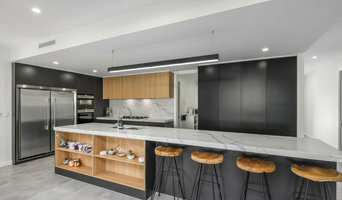 This firm of Brisbane Architects has been working with local and interstate clients for over 15 years delivering creative, functional architectural outcomes. We offer a personalized service that addresses the clients brief and believe positive outcomes in architecture are achieved through collaboration between all parties. Time frames and budgets are taken seriously from the onset, with open communication regarding these issues encouraged throughout the project. Gadke Architects offer services that cover all stages of the architecture process, from schematic design through to contract administration. These services can be tailored to meet your requirements. Pre purchase and pre design consultation services are offered to assist owners in making informed decisions regarding their future projects. Whether you are planning on building a new home or renovating your existing please contact us to discuss your project. We have experience in all aspects of residential architecture from the renovation of traditional Queenslanders through to new modernist house plans. Sustainability measures and eco friendly outcomes are encouraged in all aspects of our sub tropical designs. Your brief, design intent, needs and budgetary requirements will be considered throughout the project. 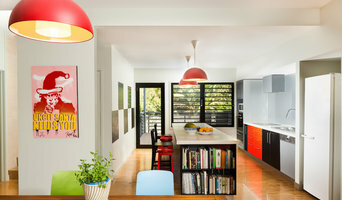 We are a small Brisbane based architecture studio that specialises in new homes, renovations and additions. DAHArchitecture is a Brisbane architecture studio operating across a number of project practices within the architectural field. From house extensions, renovations, multi-residential, commercial, mixed-used developments and Interior design, the studio is particularly interested in exploring the building of architecture through operative approaches whilst remaining concious to the occupants way of living. DAHA is led by registered Architect David Hansford, who possesses over nine years of experience in Architecture. We are located in Brisbane, Queensland, Australia. 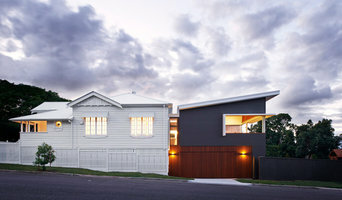 KO&Co Architecture is a Brisbane based architecture and design practice with a keen interest in residential design. From high end beautifully crafted homes, clever design solutions for small additions and alterations, to efficient responses to multi-residential developments, every client has a unique brief which is deserving of a considered and exceptional response. KO&CoArchitecture caters for clients who have a shared passion for design and those who are interested in the difference good design can make to a space. REFRESESH*DESIESIESIGN is an architecture studio based in Brisbane, Australia. We enjoy confronting the conventional by posing solutions for any design-related challenge through creative thinking. Our studio has been awarded with national and international awards for several projects. We believe great architecture contributes to a better functioning society. Our mission is to use design as a tool to surpass our client’s aspiration whilst balancing their intentions to positively influence the environment and enhance people’s lives. Our work has a strong focus on sustainability, underlined by its capacity to endure. It is contextual, adaptable, harmonious and well considered in the use of space, light, material and technology. A small practice with a love for creating the places people live inspired by travel, memories, landscape, materials and location. My goal is to create functional and simple spaces that still delight and surprise. Projects have a strong relationship to the client's brief and develop though discussion, experimentation, and the collaboration with other professionals and craftspeople. This becomes part of the design and building process, from start to completion. Paul is a registered architect with long-term experience in architectural design and managing architectural projects. His project experience is broad and includes residential buildings, commercial projects, hospitals, institutional buildings, and master planning projects. Paul's recent projects include luxury residences and house extensions in Brisbane and the Gold Coast. These projects ranged in price from $750K to $2.4 million construction cost. Before scaling down to residential building, Paul spent two decades in the design and documentation of a variety of complex institutional, health and commercial buildings. He he designed and managed projects such as the Virgin Flight Simulator; and hospital expansions for Robina, Redlands, and Redcliffe Hospitals; and the Royal Brisbane Hospital Doctors Retreat. As an architect, he worked on the University of Qld Bioscience Precinct, Australian Institute of Bioengineering and Nanotechnology at the University of Qld. Award-winning architects with a focus on prestige residential design. We’re humans first and architects second. From our Brisbane studio, we deliver human-led design for homes, commercial spaces and heritage buildings. Property Development Management Consultants. We are Brisbane’s trusted development and project management consultancy for feasibility studies and management of building projects. From refurbishments to major projects, we offer a complete project management service, delivering property developments of architectural excellence for developers, landowners, education and community groups. mission Resonance d+a is a design and architectural practice based in the Gold Coast Hinterland, dedicated to delivering quality design responses through a personalised service for clients. Servicing South East Queensland and beyond, we aim to take our diverse experience and focus it into personalised contact and product delivery to ensure client requirements are not only understood but followed through to the last detail. Whether your project has many constraints or few, hardened preconceptions or none, with Resonance d+a, you will have access to a personal architect whose sole aim is to breathe life into your vision of space and experience by drawing on materials and the environment in ways you might not expect. Design is a passion, and we firmly believe good design can significantly enhance one's experience of the environment and general awareness. This can take many forms: it can create a greater connection to the seasons, enhance one's ability to focus on specific tasks (especially useful in education environments), or to appreciate the tranquility of a space. A small detail can make the world of difference and a thoroughly resolved concept from plan through to operation can be a revelation. 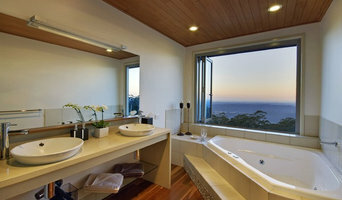 Registered Brisbane Architect - Providing quality architectural design and professional service from concept to completion. 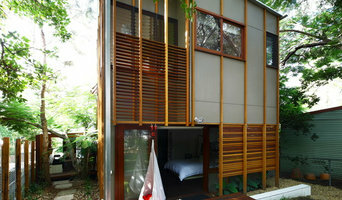 Brisbane Architect - Nicole Weston Architect was established in 2003, located in New Farm. We specialise in a range of project types including: Houses [New Residential, Renovations]; Housing Developments; Office Buildings and Fitouts; Industrial Buildings and Developments; Commercial Refurbishments; Hospitality; Education; Health Care; Master planning; Sustainable Design; and, Interiors. The aim of Nicole Weston Architect is to provide cost effective, professional guidance and assistance throughout the life of a project. With over 20 years industry experience, at NWA we are focused on delivering a building or space for every client that encompasses functional design and an enduring architectural solution. We offer flexibility in our scope of service to suit the specific requirements of any project, and any client. At Nicole Weston Architect we are determined to achieve a successful, architectural outcome for any given budget.